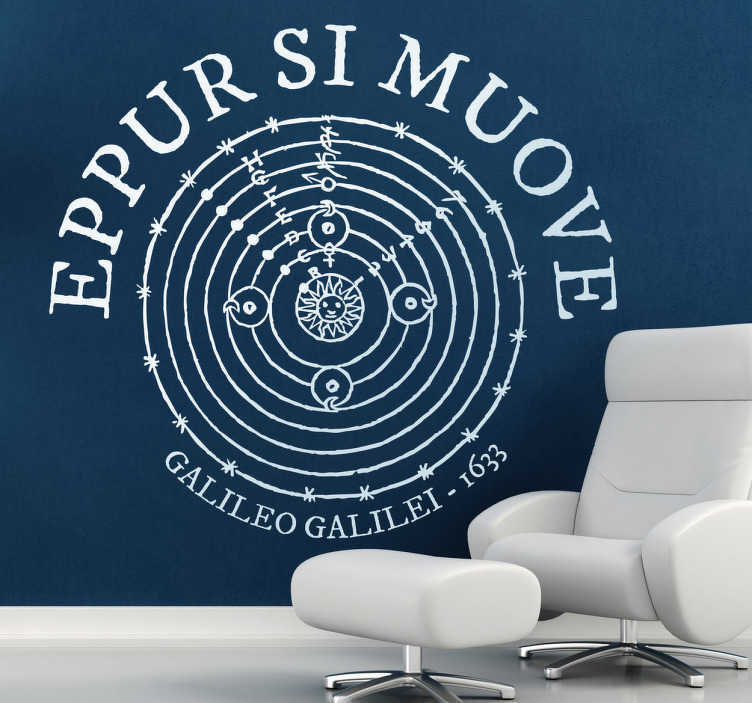 Decorative sticker that says "And yet it moves", a phrase that the Italian mathematician and philosopher Galileo Galilei said to the inquisitors. If you know about this historical figure and you have something you need to decorate then combine these two facts to find the solution. This wall sticker is the solution to your problems. Decorate your bedroom with a powerful phrase by Galileo and surprise your friends and family. The earth moves around the sun and you know it! Available in different sizes and colours for you!